‘The Laurel and Hardy Murder Mystery’ at ECCC. 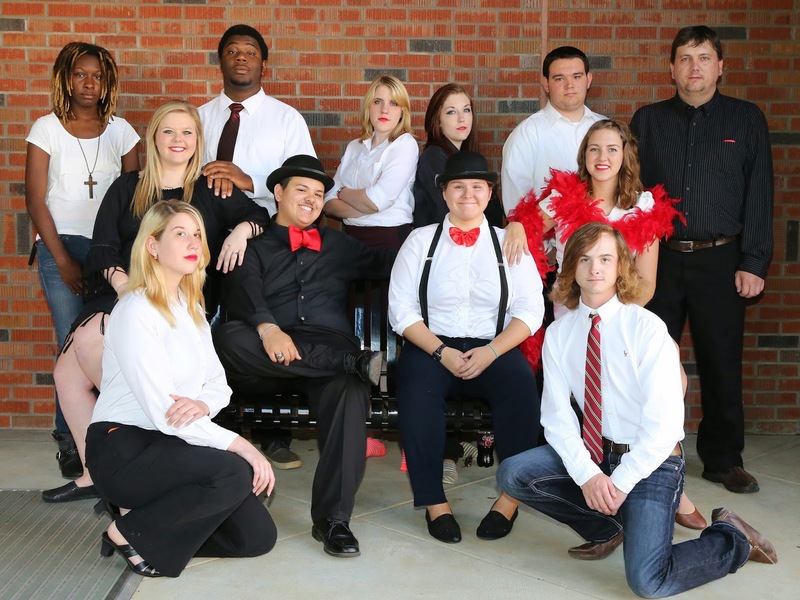 Cast members for the East Central Community College Players’ production of “The Laurel and Hardy Murder Mystery” by Barry Stoltze include (front row, from left) Alana Knowles, Decatur; and Greyson Dye, Carthage; (middle row, from left) Madelon Taylor, Louisville; Enoc Reynoso, Carthage; Sara Wysocki, Walnut Grove; and Jessie Jones, Pelahatchie; and (back row, from left) Keyanna Luckett, Carthage; Jeremy Hudson, Kemper; Bristol Buffington, El Paso, Texas; Mary Levin, Louisville; Wil Johnson, Morton; and John Thames, Magee. Not pictured is Keanu Hoye of Carthage. The dinner theatre presentation is scheduled at 7 p.m. Nov. 13-15 (Thursday – Saturday), 2014, in Mabry Memorial Cafeteria on the Decatur campus. English instructor Stacey Pollock serves as director. Tickets are $15 and can be reserved by calling the ECCC Switchboard, 601-635-6215.